ActiveCampaign is working to add more features to its marketing automation platform. Earlier this year we reported on the new ActiveCampaign automation overview page and permissions. Now there are new features for Deals. ActiveCampaign announced ‘Triggered Deals’ in automation this October and ‘Custom Deal Fields’ this month. Deals are critical and you must attend to them on time. Only a few CRM software tools have advanced deal management features, it looks like ActiveCampaign is going that way. Let’s look at the newly launched features. Deals can be seen as contacts that are active. They are close to being customers. Just like contacts, it’s essential to take the right action for every deal. You need to act quickly to get more sales and improve productivity. At any given time, there could be quite a few deals in the marketing and sales pipeline. You want to take control of those deals that require action. The newly launched feature helps you to update a specific deal with a specified context. With this feature, you don’t have to select a pipeline or stage for triggering an action to a particular deal. ActiveCampaign has launched ‘This Deal’ which is a new automation segment. It helps you to automate and segment the particular deal that triggered the automation. This way you can put all targeted deals in a segment and keep tabs on them. This feature helps to have easy access to all information in a deal. This will save you time and, according to ActiveCampaign, will help close more deals. We can see that. The feature helps to capture details like – forecasted close date, location, and product/service etc. Product/service – Segment and target deals on the basis of customer product preference. Deal source – Target specific messages to those from a specific source such as website contact form. Geography – Assign sales reps deals for specific time zones. Competitor – Keep track of competitors using custom deal fields. Forecasted close date – Inform potential customers about the expiry of a promotional price/offer. Pain points – Target customers with specific pain points. 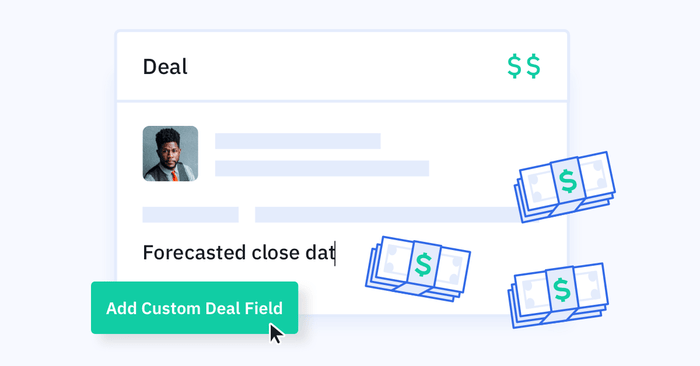 A custom deal field associated with a specific deal. Custom contact fields, on the other hand, capture details of individual contacts. Custom deal fields help you to tailor your sales to each deal. At times, you can capture very limited information from contact fields. For example, if a contact has multiple product preferences, then you can create multiple deal fields for each of the products. The Custom deal fields and triggered deals are available at this moment on the Plus Professional and Enterprise ActiveCampaign plans.